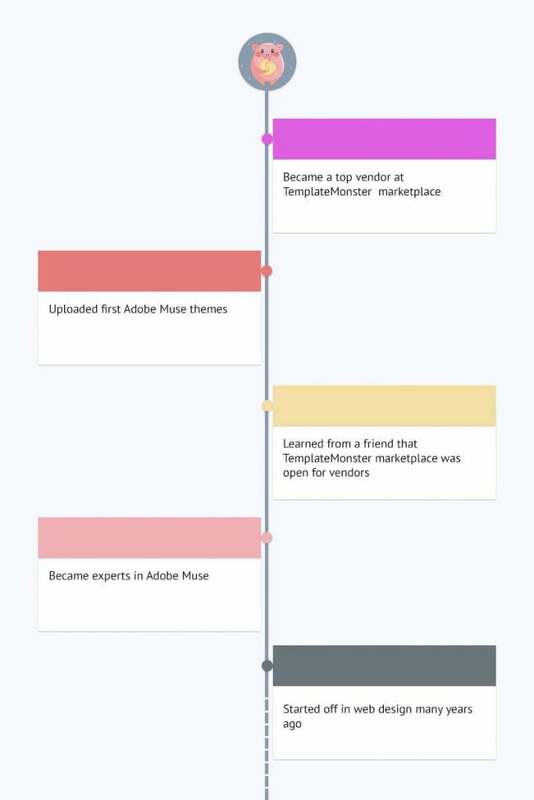 As you can see from their profile, the TinyDuck team has been around for ten months, and many customers already appreciate their theme CONSULT. The TemplateMonster marketplace launched Vendor Profile service to have full portfolios of our authors ready for you when you need them. 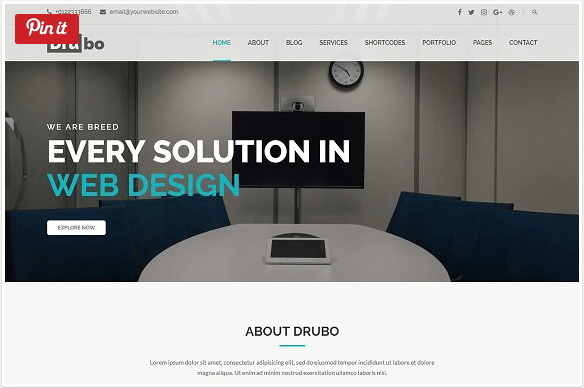 We make templates because we believe that anyone should be able to start a website. You buy a good template; you tweak it; you go live with no problems. There are still some bugs and unavailable options, but we love to see how fast TemplateMonster marketplace is evolving. Make Payoneer a withdrawal option, please. TinyDuck started off in web design as Adobe Muse experts. The team uses TM marketplace for extra income. By fall 2018, they plan to make $ 5k of monthly income on TemplateMonster marketplace. 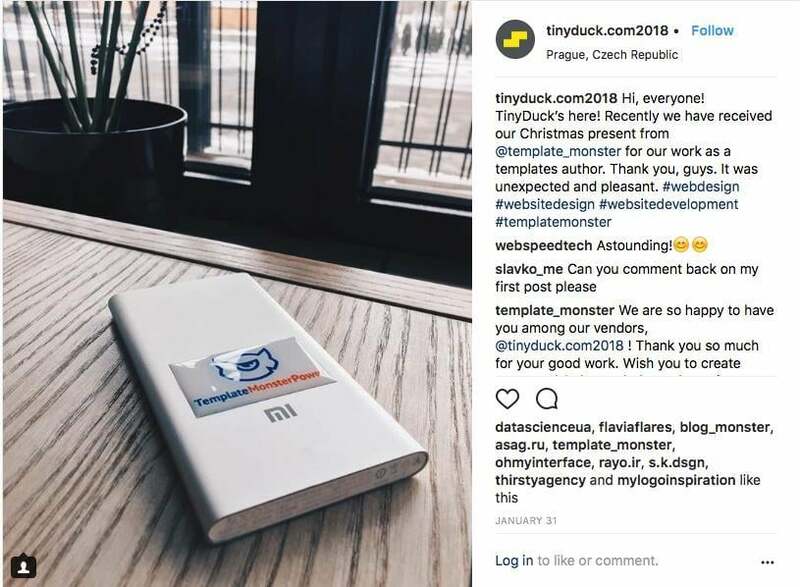 The TinyDuck team was among the most active vendors who received small gifts from TemplateMonster for Christmas in 2017. TinyDuck: By fall 2018, we are planning to make $5K per month. So far, what we get from TM Marketplace is our extra income. Now we have just Adobe Muse templates in our vendor profile, but this year we will upload more product types. TemplateMonster: What can you say about your journey as a vendor? TinyDuck: The journey was interesting but not without its challenges. Frankly speaking, the beta-version of the vendor’s admin panel was a tangled a little bit. TemplateMonster UX for vendors in the summer 2017 and today are worlds apart. The marketplace is evolving so fast! We hope that you will be keeping it up. TinyDuck: First, it is the quality of products, website speed, performance, pricing policy, and professional support service. TinyDuck: A good template gives clients what they want with as few clicks as possible. It should be designed clean, sharp, and, of course, responsive. Authors should create themes that are trouble- free for web designers and end-users alike. TinyDuck: Attention to details, responsibility, and understanding customers’ needs. We work hard to offer the best experience to our vendors, and it’s so good that you notice it! TinyDuck team, thank you for being part of our community. We think that the TemplateMonster marketplace is the right place for talented and ambitious designers. Do you like TinyDuck’s story? We would love to know yours! Please tell us about your journey as a designer, in the comments. Do you like Consult? Make sure you rate it and leave a comment.